Like many parts of the country, Rotherham has faced an increasing number of people finding themselves facing homelessness. The number of households being supported at any one time by the Council’s Homelessness Team more than doubled to 403 over the course of 2017/18. At the same time, the number of people who were believed to have actually become homeless in the borough rose by 20%. As a result, the Council has already doubled the number of emergency accommodation available to those in need, increased the priority of homeless people to access council housing, and this winter for the first time teamed up with South Yorkshire Fire and Rescue Service to make emergency shelter provision available during especially cold weather. The Council’s plan has been bolstered by recent news of additional funding coming to the borough. A grant of £328,000 shared between Rotherham, Barnsley and Doncaster Councils from the government’s Rough Sleeping Initiative will support the region’s rough sleepers so that they can move off the streets and into secure accommodation where they can get the help they need to rebuild their lives. Rotherham will also receive an additional two grants totalling £123,000 from the Ministry of Housing, Communities & Local Government. 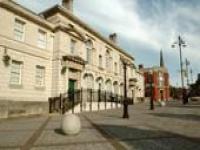 Plans are now underway to introduce several new roles across the three towns, including homelessness prevention workers who will work with housing options services in each council to focus on stronger prevention measures; mental health practitioners; and a regional co-ordinator to enable greater collaboration on rough sleeping. Council Leader, Cllr Chris Read said; “Whilst Rotherham’s issues with homelessness are perhaps less apparent than those in other parts of the country, especially in some of the big cities, it is very clear that more people are facing incredibly challenging circumstances. For a long time, it seemed that we had more or less seen the end of it, but now people sleeping in shop doorways is once again one of the moral outrages of our time.